Looks like we are having another free stock footage day that includes 15 new HD (720p) particle clips and a quick tutorial with some compositing tips & ideas. For tips on creating your own footage check out Flour Fusion show. Sweet Deal!! Footage is in h.264 compressed MP4 files. Usage License. Enjoy! Awesome particles bro thank u.. Thank you very much for making this free! Awesome!! This is really useful! Is this compatible with cs6 operating on mac os x 10.6.8? Now download link works fine! Thanks! Thank you very much for these particle footages. Very useful. Just want to say thank you VCP for helping everyone's out! why the particles are black and white? .-. nice particles! Love it so much... :D! Hello, there! I'd like to thank you all from Videocopilot to turn our learning easier. So, thanks a lot!! Download link does not work anymore... Please update? Thanks! really inspiring. Hope you could do more like this one. Thanks for sharing your thoughts on Free after effects tutorials. can anyone plz tell me where to find best stock footage. Thanks so much for this! I've been looking on how to make particles like this using plugins (been lurking your page to find a tutorial, but there's none hahaha) so this helps so much! Thanks brotha! please. do you have snowman aep project. anyone was able to remake it. we need the project please. We used your tips to create our floating dust footage. Hi, it's telling me I need a serial number? video copilot u two much i like your products. you are number one to me. After reviewing the files, I'm a bit disappointed to find they're only 1280 x 720 & some of them produce banding. the stock footage is not working!! If it is, which I'm pretty sure it is, congrats! Though I don't know if any proper sourcing was done on the actual video... It's so weird that I could recognize the floating pieces of dust. lol. I, um, love you. Um, yeah. ...Ok, maybe thank you would've just been enough. But, yes, I absolutely 2nd Timok's statement above. Absolutely!! You just don't know what your diligence, professionalism, knowledge, kindness, generosity, straight-forwardness, humor, help, and products (Purchased AND Free) have done, are doing, and will do for people. You have created sparks of purpose in people, to achieve something Great! And share it with others, of, both, like-mind & there just to be entertained. And your approach is what makes people keep coming back, as well as Credit You Highly, and refer people to you for your incredible work, displays of broken down techniques and delivery. If you were in Front of me I'd tell you how I Really feel about you (and your team... no man works alone! :) ) and how much I truly appreciate this whole setup & what you do. You've changed the whole game, and gave/give others a chance. A chance to really grow in using these Massive Tools (AE, Photoshop, Premier Pro, etc.) that seemingly have no end to its useful features, stand-alone or when combined. Would hate to think that these programs are Beasts & can do So Much and for it to not be utilized the way it could be, by even the common person. Especially as they advance & upgrade within Themselves with each new release. THANKS ANDREW!! A True Master. At Heart and Creative Ability. am a better person in what i know today...thanks you Andrew and Likes. Ur Burning Furnace of passion to inspire peeps shall be multiplied. same problem, where is the download link? Where can I download the stock footage - can't fin a download link? same here... where is the download link? Thank you for the particles. Sweet! Just wanted to say thanks. Downloaded yesterday, used today. Help: I'm trying to create the ball dispersion effect, similar to what Andrew did with the "FIZZY" logo, the problem I'm having is that when I apply the cc ball effect it only disperses to a certain limit and does not take up the full screen...I'm sure it's an easy solution, but I'm still in the learning process, I would greatly appreciate it thanks everyone. Thanks for this awesome animation Andrew. But what is the soundtrack that you used in this video? Its awesome. Good work ! You amazed me ! Amazing! HEY ANDREW I want to tell you that i am unable to understand any tutorial either on youtube by different people. Some have Hard sounds, some have problems( coughing and sneezing). I am able to understand after effects in detail on from YOU! Thanks once gain ! LONG LIVE ANDREW ! LOVE YOU ! Also i am from INDIA but the way you represent your tutorial is very Clear and ....................Amazing ! Your tutorial is great i really gratitude you and whatever i m now that due to you. i m fan of you and ur team. Is there in this site? Please disregard previous comment - or in the immortal words of Emily Litella...."Nevermind"
this is the first time i visited this website and oh boy !!! Andrew believe me these words like astonishing and amazing suited you when you were 10 years old. We don't have words in the dictionary for you. Not just the tutorial but the way you present yourself in videos is marvelous. thanks alot for these tutorials. astonishing Man !!!! you are just the best in the word thanks so much to make me learn that from simple things you can make the most amazing things !!!! Can someone please make a project file for this. Your tutorial really helped me in understanding adobe after effect, though. tutorial is not for beginners, but easy to understand. Mr Andrew hats off to you,you are my teacher. Andrew thanks for everything, wonderful work, I'm learning a lot of after effects. Wow, thanks for the generosity of giving away this free download. These particles will be really helpful. I always appreciate this site, and will continue to buy your products. Great work! Thanks a lot Andrew! I have noticed that it is obviously not possible to download this tutorial-video, as it is a streaming-video. There is no download-button and I was not able to download it via JDownloader either. Or could anyone of the community help me to make this tutorial-download work. Many thanks for your support in advance! Thought you might like to see what i did with your stock! Like every tutorial. How could I live without it? Hey there, Awesome stuff, any reson why I can only see the stock clips in BW? Thanks Mr Kramer much respect !!! Wow Thank you Andrew! You da bomb dogg! thanks a bunch for the clips! Thank you so much for all your great work! How do you export / compress .mov files before publishing in on website? Hey VC team thanks so much for all of the Assets creating has never been so fun and easy. Thanks this will be a good way to get views! Possibly you could have done a better job on the fire one! We like fire!! Are you humble in your work? Do you realise you are legendary to thousands of people across the world!! Love your work my friend. What does it take to be part of your team? i want to download this tutorials its not possible? Thanks a lot! This will be very usefull!!!! You're the one! Thx a lot! Just wanted to thank you for this truly AWESOME tutorials and this great particles. what's the name of the song in fizzy video !! ? You made me inspired today, thanks. Thanks sooooo much, Andrew! I made this with it! Thanks Andrew, these are great. A question about the motion blur on the CC ball action effect you used. I tried to recreate it, and I can't get the motion blur to work. I've switched on both the comp and the layer, but the balls remain clear, with no trail... Please help!!! Hey Andrew as always awesome stuff! On way I use particles like these (that are on a black bg with no alpha, is to use the "unmult" plugin, I think it's by Red Giant, it works pretty well knocking out the black, then I can use a blend mode like overlay or add. Keep up the super work! Alex Blaha is 100% right "You're the best thing that ever happened to AE" ... and his happy owners. After one or two month everyday on your site, I suddenly realize how much I learnt and got from you. Thank you for your talent and smartness. Thank you for the stock footage and creative inspiration. Nice!!! This is awesome.! 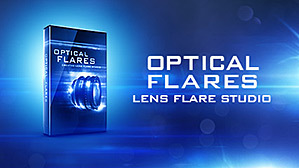 It's faster than Particular, more creative, a lot less work, in HD, lots to choose from (15 different particle clips), flexible with effects + CC, and best of all FREE. Andrew Kramer.. You are the best thing that's ever happened to After Effects. Cool stockshot but to much compressed so lot of artifact due to the compression. what a funny easy cool tutorial !!!! Thank you very much! Very usefull! This is very helpful. Learned a lot both directly and indirectly. The more I watch and DO your tutorials, the more sense AE makes! Thank you Andrew for your hard work, talents in graphic design you've been an inspiration to me, and I've learned so much off of watching your tutorials; each one being more awesome than the last. Keep doing what you love to do and thank you for footage, as always your ideas are extremely awesome. Thanks again for something that is greatly useful. You never cease to amaze. I even enjoyed the woman and their fight. That was clever and had no hair pulling. Hello Andrew! Can you please help? I just need to now is in first basic lesson called "Introduction" on 43 second used some effect or it is do on just 3D camera? or something like sure target 2 effect? Thank you for evey thing that you do. Your constant push for progression is exciting and inspiring. Hi andrew thank you very much! 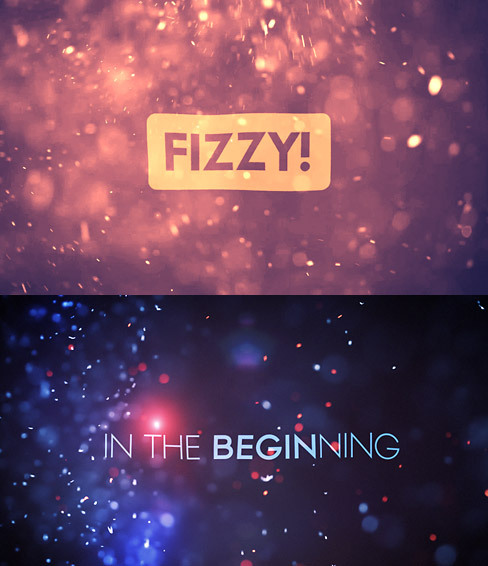 I would like to know the name of the font of "IN THE BEGINNING" in the second pic.. thanks! Tw Cen MT, then he has changed from bold to non bold i think! Hi man..again.. thanks for this. I've found it helps to read most of these comments in Borat's voice. "You do very nice work for us, Mr. Andrew. Very nice. I will like to shake your hand." OMG! this stuff is worth a million dollars and i got it for FREE...??!! I should say, after 27 years i just found out i'm born lucky! Thanks Mr. Andrew Kramer for this another exciting stuff!! Nice one. But too bad for the banding in most of the footage. But I guess that can't be helped ('cause of the 7d's compression) That is kind of anoying. But anyhow, nice footage. Sure it'll come in handy someday. Great! This is really great, master! Thank You very very very much! Haha I like your reference to Sweet Caroline Andrew! Do these things come to you as you go along or do you plan your funnies? Thanks for the stock! This is very nice! thanks andrew! One gift but lot's of surprises inside. Your simply amazing AK, and i know 4 sure that your being surrounded by generous and kind persons. VC team u ROCK!!! We managed to create around 2 dozen of these in our studio using a similar technique with a 100mm Macro Lens. One problem however was the room air-flow. We found that in a large room with air conditioning, the particles fly around a lot faster and it's very difficult to capture slower moving ones. We wonder if you also noticed a similar effect when shooting? Just curious. Thanks a lot for all the suppport for the vfx community! 1) Great idea, I should go get some baking powder and shoot some particles. 2) My camera, lenses and sensor might not love the baking powder. So thanks for sacrificing your gear to give us free footage. Would be awesome to post up the project files too! thank you very much for this footage!!! its exactly what i need for our second youtube video. in our fist one i used a lot of VC stuff like optical flares, sound fx and pro scores. Thanks a lot and bless you, andrew! BTW, thanks Andrew for the tut and the footages. wich diference you my find between 5D and 7D? One world to descripted this:PERFECT! The sound in the sample video, is perfect man! This...this is a perfect effect with real particles! THANKS AK! Really great tutorial....it was loaded with tip after tip....so much there - it was like 20 tips to 1 particle. I particularly liked the Snowman segment...what's wrong you don't like passing the bar exam? lol I agree with you - Nice Mountains, bad beer! YOU ROCK! Seriously Andrew..You put a lot of effort for fans..i love you..but i got 1 question.. When Demon Cam is coming for android? One serious question: You said that we are free to download the stuff - Thanks a lot for that great opportunity. But are we theoretically allowed to use that stuff for commercial use? Xtra tnx 4 the song. Thanks andrew! You're simply the best! Thank you very much, guys. Would you be able to make the video downloadable as I live in the boonies and don't have broadband and it takes ages to watch the video. Many thanks. Thanks for the particles Andrew, a marvelous gift. aah, Andrew your the man!! I don't know no other website that give much as you with these monthly tutorial and free surprises. Thanks much!! Awesome!! Thanks so much!! Love you guys! Turnips taste gross, who's with me!? Thank you YET AGAIN for the inspiration and tools to keep learning and growing as an Editor. I can not tell you how much I appreciate everything you do. Things have been tight lately, but I'm eagerly looking forward to spending money with your company as soon as I can. You have a lot of great products that I can hardly wait to get a hold of! Looking good! I'm gonna download those files and have some fun when I get home from work. Keep this up and you'll soon replace Santa Claus as my hero. Well, well, well... Now, we can sing: "let it snow, let it snow, let it snow..."
Thanks Andrew for your work! Loving the work. keep it up. Always looking for backgrounds!!!! Thanks! I know you have a few Cinema 4D and 3DS Max tutorials, but I can't afford those, is there a way to get some Blender Tutorials? I have been teaching myself everything and it is difficult to find stuff out there. I know of CGCookie and BlenderGuru, but they don't have the way of explaining and walking me through stuff like you do. I learned everything I know in After Effects from you and Aaron. Thanks a lot, this is awesome!! I'm not sure I anderstand? BUT for some reason the file is corrupted, I dont know why! Wow, sweet particles and sweet music! Going to fool around with the new particles to some Neal Diamond! I wonder what's the nicest ... The footage or the Neil Diamond's song ... mmmmh ... Hard to choose! thnk's 4 all the knowledge you shared to us, master AK!. Keep it up, and your the MAN!. thank's for all the knowledge you gave to us master AK - your the man! what CGI Means, Cg Animator, ILM ? It stands for "Computer Generated Images"
Thank you Andrew! Your generosity is highly appreciated. But what's up with the Usage License? If I want to use the contents on 3 or 4 different computers I can just download it to each of the computers. And if I reallyt want to share the contents with someone I can just send them the link to VideoCopilot. I don't really see the meaning of this Usage License. This just remind me about a soccerplayer named Alan Shearer. He had his own way of celebrating after scoring a goal (by running around and putting his arm up in the air while looking down) and when another player did the same thing Alan Shearer stated that he (and only he alone!!) owned the copyright for that particular celebration. As I do worship the copyright law it seem to me that most people become paranoid when it comes down to their rights, money, etc. Yes, it's important to protect your work but don't be overprotective. Anyway, great stuff and it's nice to see that stuff from older tutorials are being used to create new tutorials. Love it, but something in white background? ahahahaha will you never change your style? Oops... Just read the rules - I guess this one won't make it. Live and learn. This is great! Thanks Andrew... VideoCopilot is the gift that keeps on giving! hey!!!! 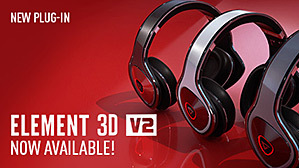 When is 3d element coming out ???? Thanks for the free stuff, it looks great, and it's just in time for my birthday in 10 minutes. Nice one Andrew!, High quality stuff for the masses xD. Thanks! Just gorgeous. Thanks for the clips! where do u like to get ur music from besides using pro scores? free or not idc. He has a sound producer. Don't know how to say that....ummm....YOU'RE FREAKING AWESOME!!!! I wish I had a nice camera.. but some day i will. He Kramer, I guess you shot this freebies with your canon dslr. Why is the format .mp4 and not .mov as usual? Does this have any benefits? When is element coming out??? I loved this video !! You know what I realized? You guys are one of the few kindhearted corporations out there. i really don't have the words to say.everytime i visit VC.net i find somthing new waiting for me.it's really very nice from you Andrew. Muchas gracias por este gran aporte! andrew you are simple the best!!! Thanks for the stock footage! Have I mentioned how awesome Video Copilot is today? No? Thank you Mr. Kramer. You sir are a gentleman and a scholar of the highest caliber. Truly an inspiration to us all. VideoCoPilot. I buy your products to at least try to give something back for all the awsome stuff you give to the community. It will probably never be enough to just say thank you, but you get the idea. Thank you Kramer and the rest of VCP! I would not be able to work with AE as I've been for the last 2 years if it wouldnt have been for you. BIG thumbs up and hugs for everyone! Thanks for the gr8 flour footage Andrew! thanks buddy. this is a very one way relationship. How are you embedding your videos now? I love the look of the quicktime plug-in with the fullscreen button and the rewind. Thanks Andrew! Great work, as always, keep up the fantastic work. Can't wait to see more stuff from the Demon Cam project. you came on the right time! thank you SIRS! Thank you so much for all this, greetings from Pakistan. I think I can this particles also use full on a portal instead of smoke, what do you think !!! Hey. Where did you get this huge amount of creativity and ability of creation? Wow, you are quite literally one of the most inspiring people on the web, thank you so much. As ever Andrew, many thanks. Thanks for the free things!!! We stay learn from VDC dot Not. Thank you :) ... nice :) ! (Really Small Text that is Hard to Read) FTW! I was just making my own particles and now you put up some free one. I am on particle overload. Actually right now I sort look like a crack addict. I also some really success with materials and spices as well. Thanks for the stock footage and inspiration. Working on a new Christmas benefit music video..can't come at a more perfect time! Thanks Andrew. You are the man. With the SnowMan example, what transparancymodes are used for the particles to get it to be transparant as it is so you can see all in the background? u just got to LOVE this!!! Awesome. Just wish I could see what it said at the end. It was a little small and hard to read. From Dominican Republic, thank you very much for sharing your talent every day ... thanks to your tutorial I be able to learned things that I dreamed to do for years, I hope we have this great website (videocopilot) for much longer. awesome work Andrew! Really appreciated! Thanks again Andrew, please keep up the great work and I speak on everyones behalf when I say your creativity and dedication to providing free high standard VFX tutorials is very much appreciated. I second all of the above. This is without doubt the most helpful, funny & generous VFX website on the net. You Rock!!!! Thanks for all you do! Just one more reason why I love Video Copilot and Andrew Kramer! Thanks dude, you're awesome! I was making my own particles this week but now there is no need. Thanks andrew, this is very nice of you . Who wouldn't respond to a guy named Clancy? It's Chief Wiggum's first name. A neighbor boy ! that's why? And don't forget Clancy Brown. Single best voice on the market and Officer Handrady from Shawshank. Thanks Andrew, you are by far the best and super appreciated. In fact, I am going to name my new born daughter after you...well, that or Emily. Thank you so much. Amazing. So great. Looks great over footage, perfect snow effect. Nice, what type of computer do you use for your AE stuff? He uses the HP Z800. Do you know about the specs? I googled it and there are tons of models. What's the price range on the one he's using? Honestly I wouldn't bother with HP or any pre-built computers for that matter. I've been building my own work stations for years and I would highly reccommend it. I just built one about 3 months ago, i7 960, GTX 570 (hardware accelerated mercury engine in premiere), raided hard drives (3.5tb of total space), and 24GB of DDR3 triple channel memory for only $1500! HP can't even come close to that. I'm not one of those spammers, I just hate it when people overpay for computer hardware because of a brand name. It is a good idea to build your won workstations, but if you don't know how HP also has the most inexpensive and power efficient workstations that I've come by. Bu other than the Z800 HP also has other workstations that will run After Effects and even dedicated 3D software just as well. HP workstations have been used to make the hit movie Act of Valor along with Adobe Production Premium. Autodesk Software has been designed of HP workstations for years. HP workstations, are recommended for workflow with RED Camera Footage by, their first employee, Ted Schilowitz to edit footage up to three times the resolution and frame rate pf full 1080p HD. HP has been in the business of making workstations longer than any other computer building company. All in all if you can't build your own computer, or if you want a workstations that will run all the time under any condition, HP is the best choice. You are incredible Andrew.You put some incredible stuff for free and fast. ...and again a good joke at the end. omg! imagine this on an 3d Element' background !!! Yea... this would be an awesome 3D element background... speaking of which... i love the way Andrew is distracting us with some sweet footages (keep them comin') but... when can we get 3D Elements? So excited to see it come out! Sweet! I was just checking to see if you had anything new! why this lesson is not in the menu where the exhibits other lessons ? Omg i have 5.5 and no expansions and cant use any of his projects!!! Soren, all the stuff should work just fine with 5.5. Especially this, its just mp4 movie files. You Rock. Thanks again for putting out some extremely useful fun stuff. U da man.